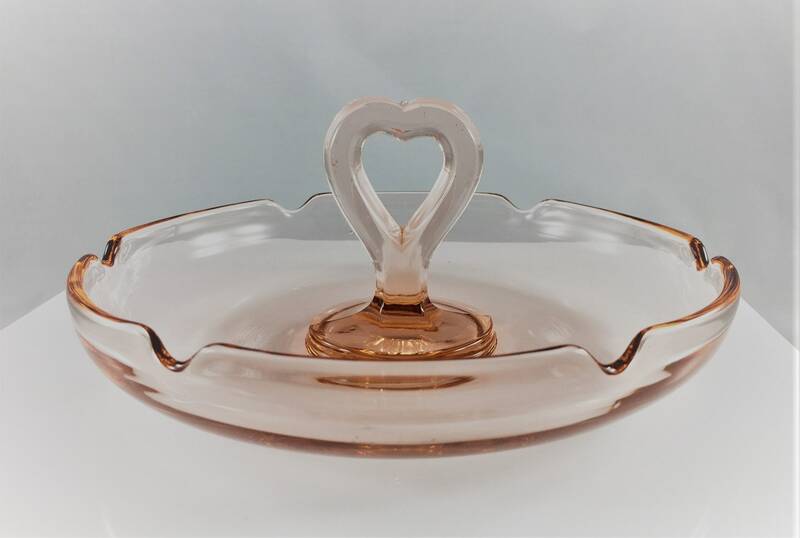 Featured here is a vintage bonbon or tidbit tray from the Greensburg Glass Works of Greensburg, Pennsylvania. Greensburg was acquired by L.E. Smith in about 1920. 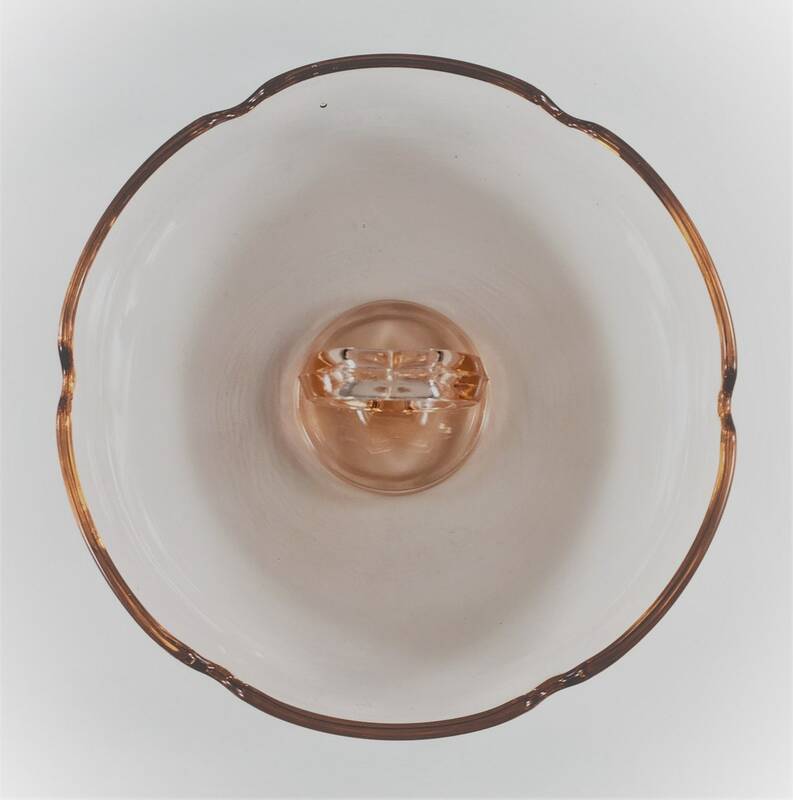 This Depression Era glass piece is approximately 6 1/2 inches in diameter and has a striking heart-shaped center handle. Not a fan of bonbons or the likes? Try this as a trendy ashtray. Not a smoker? 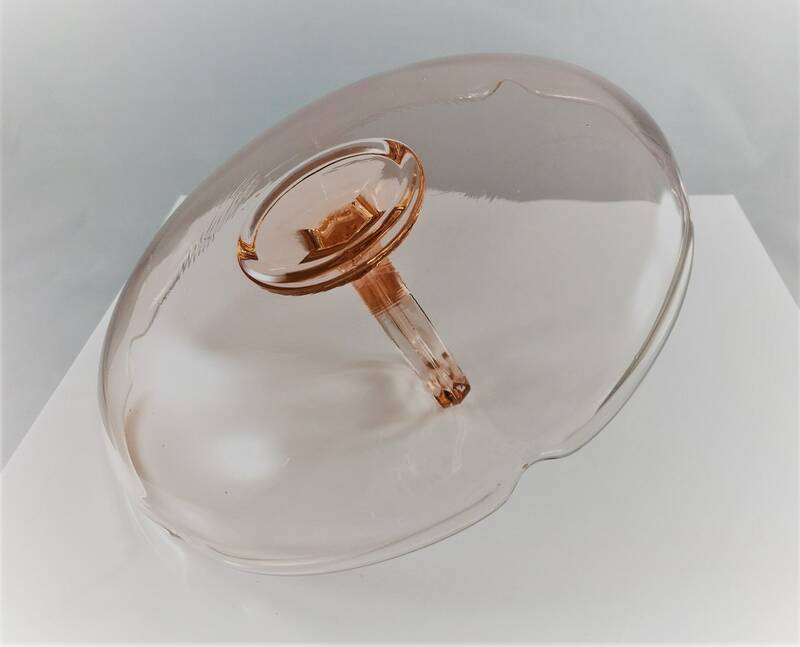 This piece would re-purpose nicely as a lovely trinket dish or a jewelry catcher on a nightstand or bathroom counter. Excellent vintage condition, no chips or cracks.